There is a burgeoning research literature on gratitude and its effect on mental health and relationship well-being. However, very little research has examined gratitude among children and adolescents and intervention focused research among these groups. The intervention studies among children and adolescents conducted to this point have focused on mental health, academic outcomes, and social integration. We focus on intervention research among children, adolescents, and young adults and provide suggestions and for improving this research through stronger control conditions, less reliance on self-report, and increasing the use of mediators and moderators. 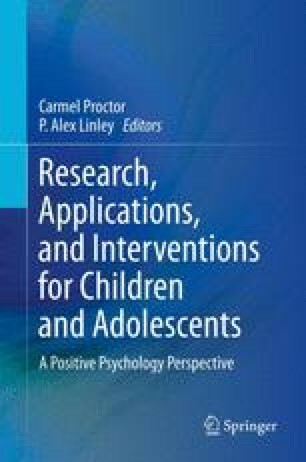 We also provide directions for future research in this area including increased examination of what develops gratitude in children and adolescents and how gratitude might improve the parent/child relationship, taking the type of gratitude into account when designing interventions, and examining the potential role of gratitude to God in gratitude interventions.